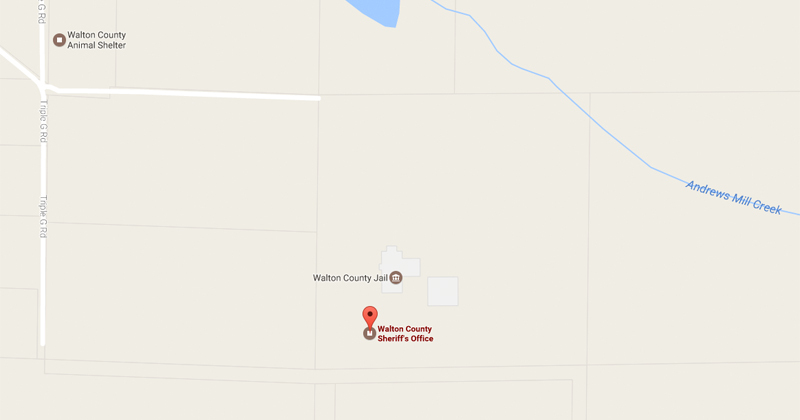 DeFuniak Springs, Fla— A man pens a Letter to the Editor at the Northwest Florida Daily News complaining mail is not being delivered to his wife; a woman currently incarcerated at the Walton County Jail. Walton County Sheriff’s Office sniffed out the answer, which came in a 5×7 greeting card with drugs inside. 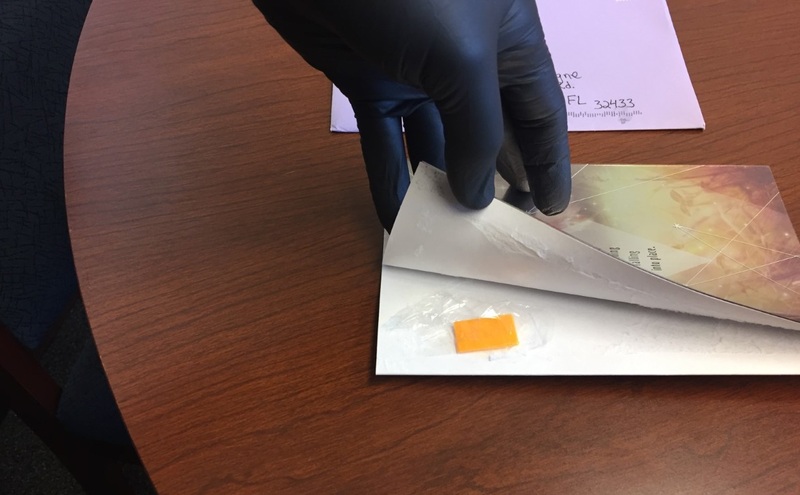 On April 25th mail clerks at the Walton County Jail discovered contraband in two pieces of mail delivered to a female inmate. Secondarily, K9 Handler Deputy Autumn Newsome and K9 “Ella” were asked to inspect the mail. Ella alerted to the fact drugs were inside. Discovered hidden in each of the greeting cards was a small strip of paper, orange in color, wrapped in a clear plastic. These types of paper strips are often used to smuggle narcotics into correctional facilities. Both envelopes had fake addresses listed on them, but were postmarked out of Manchester, New Hampshire. On May 1st additional mail was received at the facility addressed to the same inmate. Upon the mail being inspected six more strips, identical to the first strips mailed to inmate, were located inside. The inmate was advised she could not have the greeting cards due to the type of material they were made of, but was not alerted to the fact that the contraband had been located. This was done in an effort to build a case against the sender. The greeting cards were taken into evidence and the strips were sent to be analyzed to determine the type of narcotic was being used.